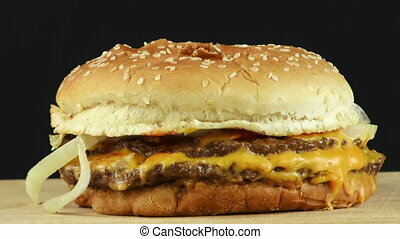 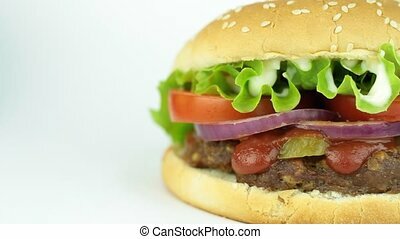 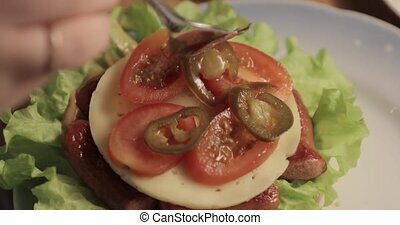 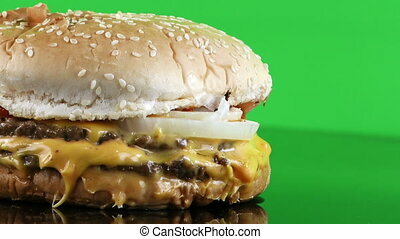 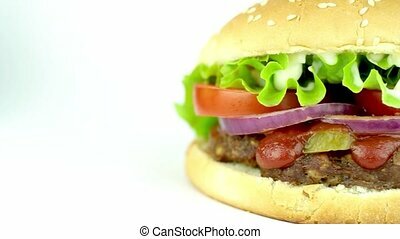 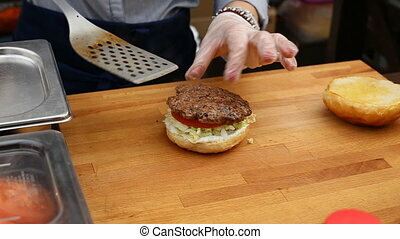 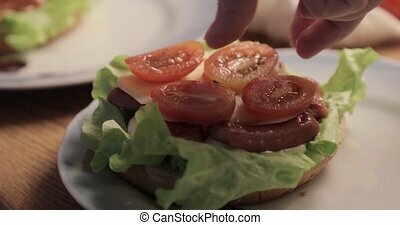 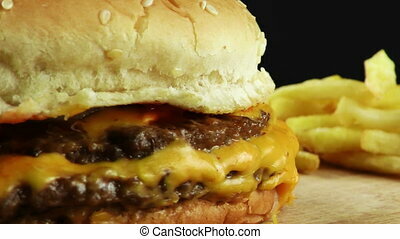 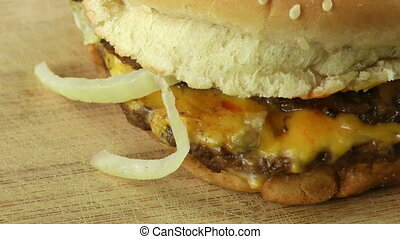 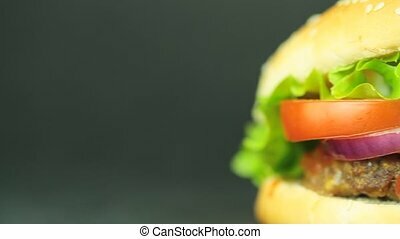 Close up view of preparing a delicious hamburger. 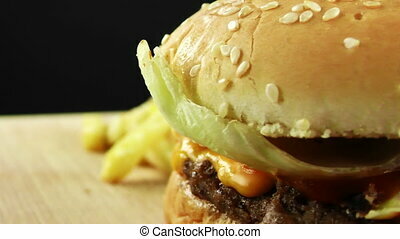 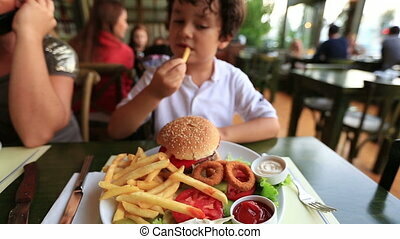 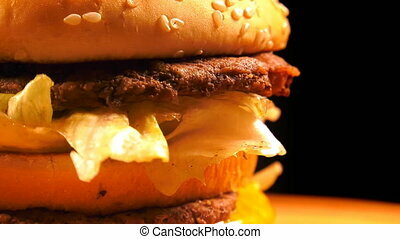 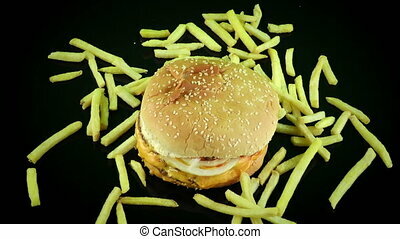 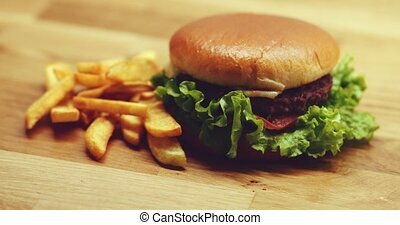 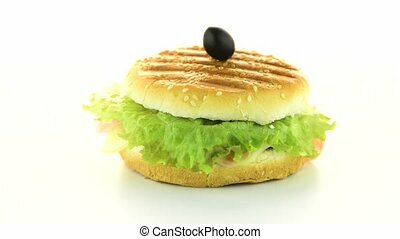 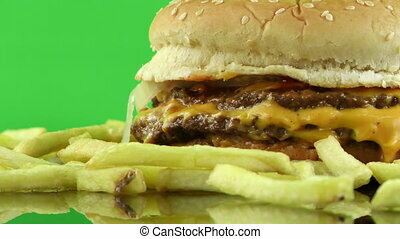 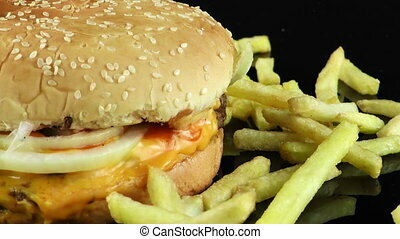 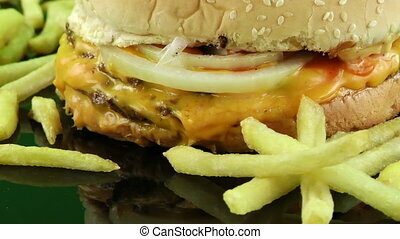 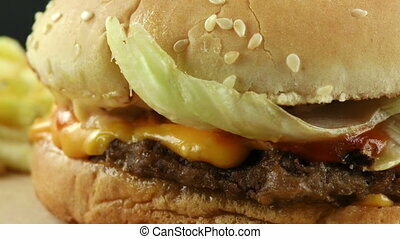 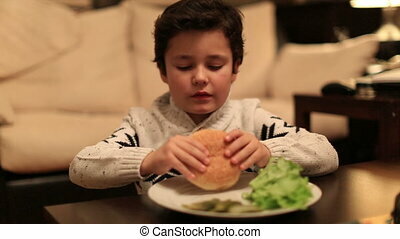 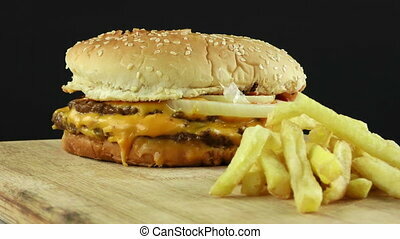 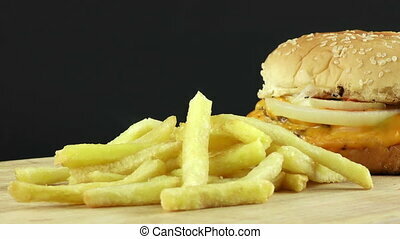 Close-up of tasty hamburger with salad and golden bun served on wooden board with piles of crunchy fries. 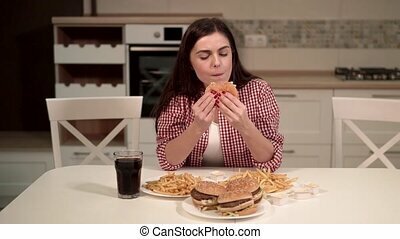 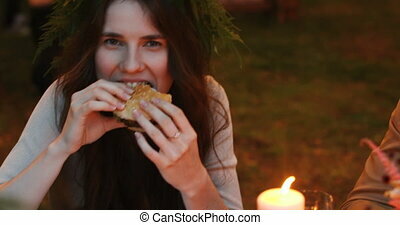 Charming brunette in wreath eating delicious hamburger looking at camera. 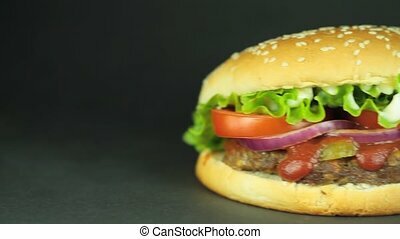 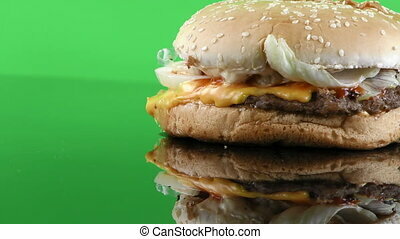 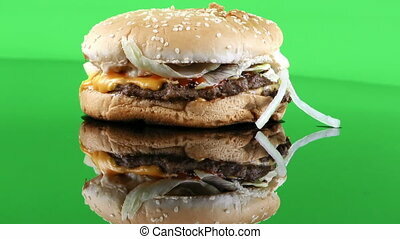 Hamburger rotating on white background. 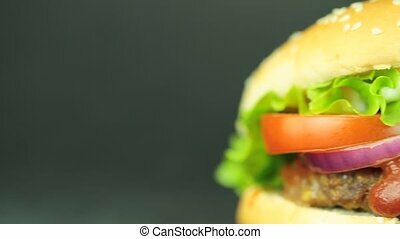 Delicious homemade Hamburger close-up in the kitchen.